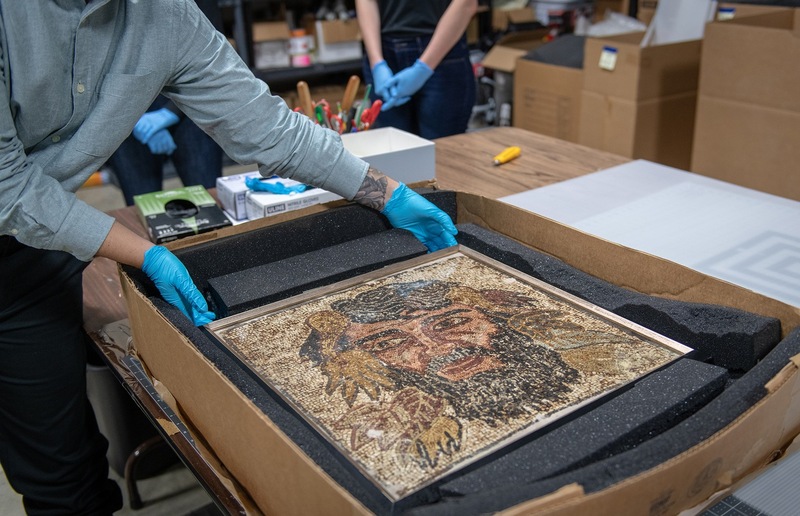 In July 2017 antiquities dealer Hicham Aboutaam sued the Rupert Murdoch-owned Wall Street Journal’s corporate parent Dow Jones & Co., in New York County Supreme Court over an article titled “Prominent Art Family Entangled in ISIS Antiquities-Looting Investigations” which was published in the Wall Street Journal on May 31, 2017 claiming his family's business and reputation had been damaged by the article written by WSJ reporters Benoit Faucon and Georgi Kantchev . The journalists, who shared a byline on the article, were not named as defendants in the lawsuit. In the filed 30 page complaint, Hicham Aboutaam as Plaintiff requested unspecified damages based on claims of libel and defamation. 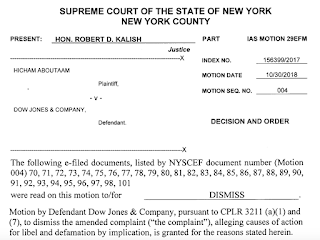 In a ruling before the New York State Supreme Court, New York County, dated March 22, 2019 and filed today, Honorable Robert D. Kalish J.S.C granted the Motion of the Defendant, Dow Jones & Company, dismissing the complaint in its entirety. 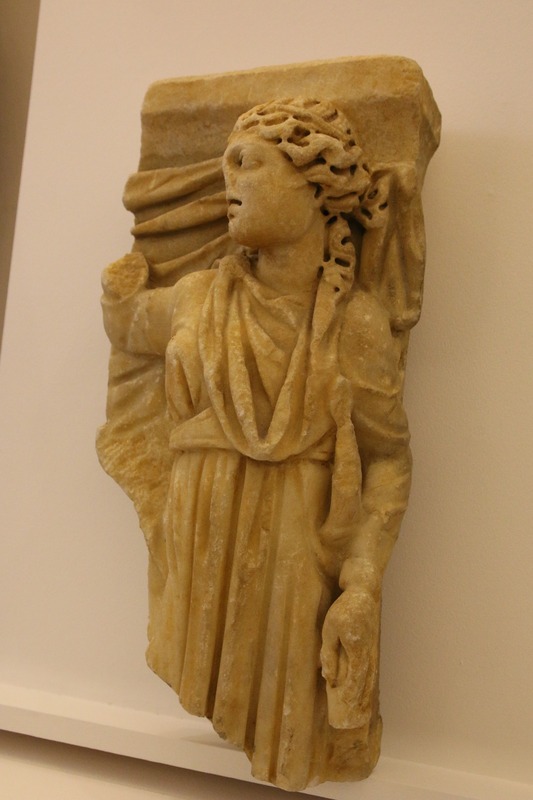 The Court ruled that "the thrust of the article was that Plaintiff's family –"one of the most storied families in the international antiquities business"– is being investigated and scrutinized about the selling of looted antiquities and whether the family business is dealing in items looted by ISIS and then sold through dealers like Plaintiff and his brother Ali." "By no means does this Court's decision seek to undermine the serious consequences that sometimes follow a news organization's decision to publish details of an ongoing investigation by law enforcement. However, the decision to truthfully report on an ongoing law enforcement investigation is ultimately a question of journalistic judgement. Unless the reporting on such an investigation is materially false or affirmatively creates false suggestions, it is not for the courts to question an editorial judgement to report on an ongoing investigation." As the Court dismissed the plaintiff's causes of action for libel and defamation by implication, the Court did not address the Defendant's, Dow Jones & Co., argument that the Plaintiff failed to plead actual malice with regard to both causes of action. 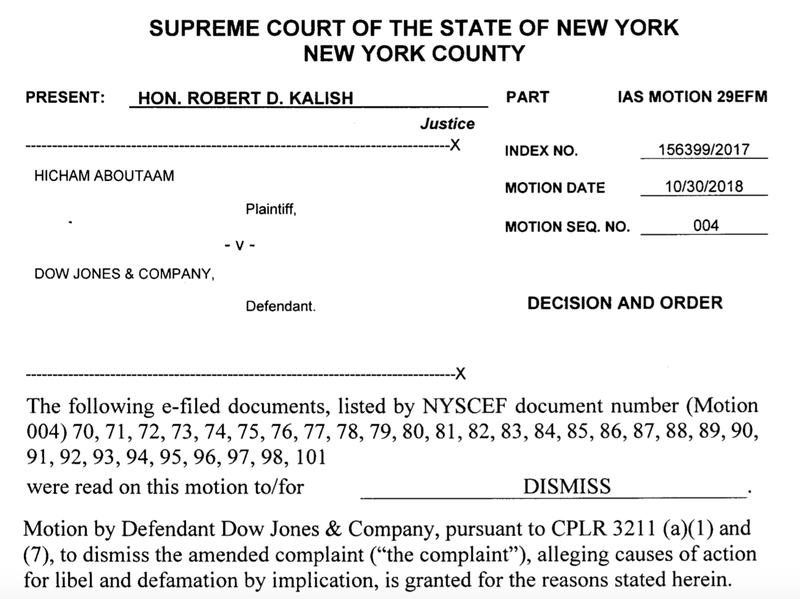 In an email exchange regarding the Court's decision, Steve Severinghaus, Senior Director of Communications with Dow Jones stated "We are gratified by the court's decision to dismiss Mr. Aboutaam’s lawsuit against Dow Jones." It should be remembered that Hicham Aboutaam was arrested in 2003 for smuggling a looted ceremonial drinking vessel from Iran into the US, claiming that it had come from Syria. Hicham pled guilty to the charges in 2004, paid a fine, and the vessel was returned to the Iranian authorities. As a result of that incident, Hicham Aboutaam stated that his conviction stemmed from a "lapse in judgment." In the past, the Egyptian authorities accused Ali Aboutaam of involvement with Tarek El-Suesy (al-Seweissi), who was arrested in 2003 under Egypt’s patrimony law for illegal export of antiquities. 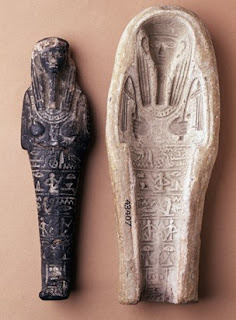 Ali Aboutaam was tried in absentia, pronounced guilty and was fined, and sentenced to 15 years in prison in the Egyptian court in April 2004 after he was accused of smuggling artefacts from Egypt to Switzerland. To date, Ali Aboutaam has not served any of the Egyptian sentence. 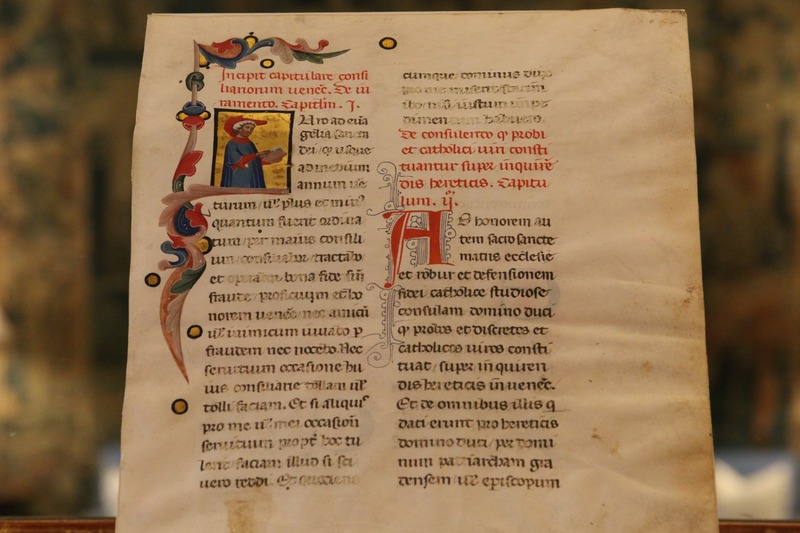 The Aboutaams voluntarily repatriated 251 Antiquities valued at $2.7 Million to the State of Italy in May 2009 when the objects were tied to one of Italy's most notorious smuggling rings. 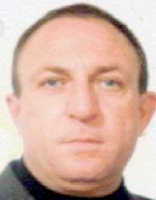 Judges from the Tribunale del Riesame di Caltanissetta, the court of first instance with general jurisdiction in criminal matters within the territory of Caltanissetta, Sicily, have rejected an appeal made through attorney, Davide Limoncello, presented in relation to a European arrest warrant (EAW) issued for William Veres. The London-based Hungarian antiquities dealer is one of 41 persons who have been named in Operation Demetra, an Italian-led illicit trafficking blitz carried out by law enforcement authorities in Italy, Germany, Spain, and the United Kingdom in July 2018. 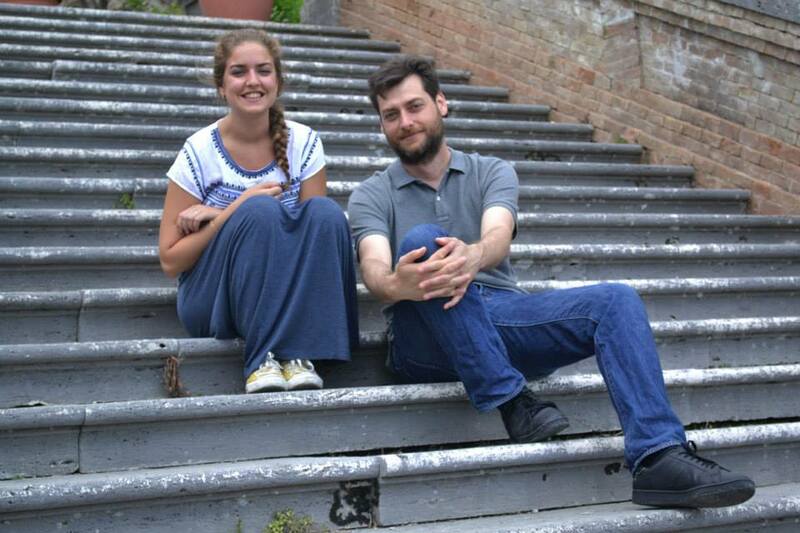 The appeal presented by Limoncello on behalf of Mr. Veres was made to address the personal and real precautionary measures requested by the Italian authorities in relation to his client, deemed necessary by the prosecutor in the context of the criminal proceedings related to the case. Veres was taken into custody on 4 July by officers from London's Metropolitan Police - Art and Antiques Unit at his home in Forge Close, Stanmore in north-west London. Subsequent to his arrest, Veres was released on bail with supervised release conditions while he awaits the UK's ruling at London’s Westminster Magistrates’ Court as to whether or not he should be extradited to Italy to face the charges against him. 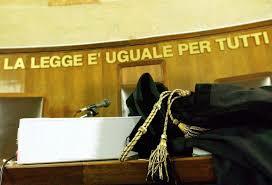 Extradition to Italy is regulated by law as well as by international conventions and agreements. 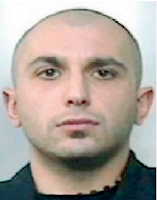 In general, extradition, is this case between Britain and Italy, means that Italy has asked the UK to surrender Veres as a suspected criminal in order to stand trial for an alleged violation of the Italian law. But before doing so, the antiquities dealer is entitled to an extradition hearing. During that extradition hearing a UK judge will need to be satisfied that the conduct described in the European arrest warrant amounts to an extraditable offence in Great Britain. This means, in almost all cases, that the alleged conduct of the suspect would also amount to a criminal offence were it to have occurred in the UK. The UK courts would also have to evaluate whether or not any of the UK's statutory bars to extradition apply. Most of the bars prohibiting extradition in the UK have to do with double jeopardy, the absence of a prosecution decision (whether the prosecution case against the accused is sufficiently advanced) or whether or not the request by the requesting foreign authority is improperly motivated. The London judge will also decide if extradition would be disproportionate or incompatible with Veres' human rights. Should the judge at the extradition hearing decide it would be both proportionate and compatible, Veres' extradition to Italy would subsequently be ordered. Veres could then, if he so chose, ask the UK High Court for permission to appeal this decision, provided that request is made within seven days of the previous order. If the High Court grants an appeal, in that situation and later affirms the lower court's ruling that extradition is both proportionate and compatible, Veres would become subject to extradition within 10 days of the final court order (unless an agreement to extend, due to exceptional circumstances, is made with Italy). Concluding a formal agreement between India and the Metropolitan Museum of Art has handed over to a 9th century Durgamahishasurmardini that had once been enshrined in the Chakravarteswara temple at Baijnath to the Consulate General of India in New York. 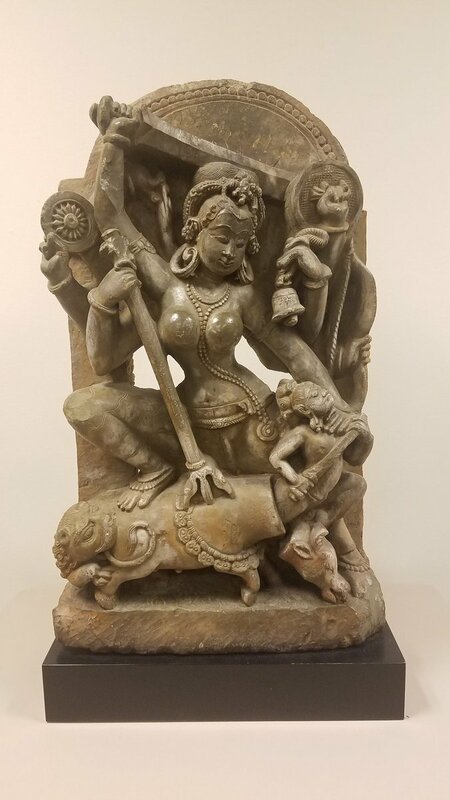 The Durga was donated to the Museum in 2015 and was later recognized by museum staff from the cover of K. P. Nautiyal’s "The Archaeology of Kumaon, including Dehradun; a comprehensive account of the cultural heritage of modern Garhwal and Kumaon divisions." Also returned was a "The Head of a Male Deity" which matches an image also listed and now removed from the museum's website of a "3rd century Head of a Bodhisattva (?)" from the Ikshvaku period (second half of the 3rd–early 4th century) from Nagarjunikonda which had been gifted to the museum by Evelyn Kossak, via The Kronos Collections, 1986. 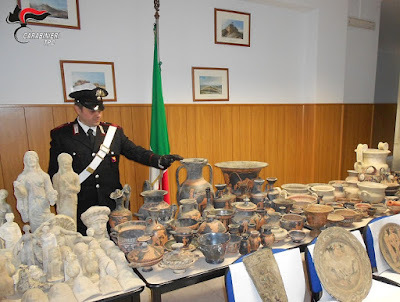 As the transnational crime investigation Operation Demetra proceeds into the alleged trafficking of archaeological finds, Italian news reports have begun publishing the names of the 41 individuals currently listed in the obgoing investigation. Some of these individuals have been given precautionary pretrial measures including pretrial incarceration, house arrest or electronic monitoring. The remainder are at large pending the conclusion of the investigation. 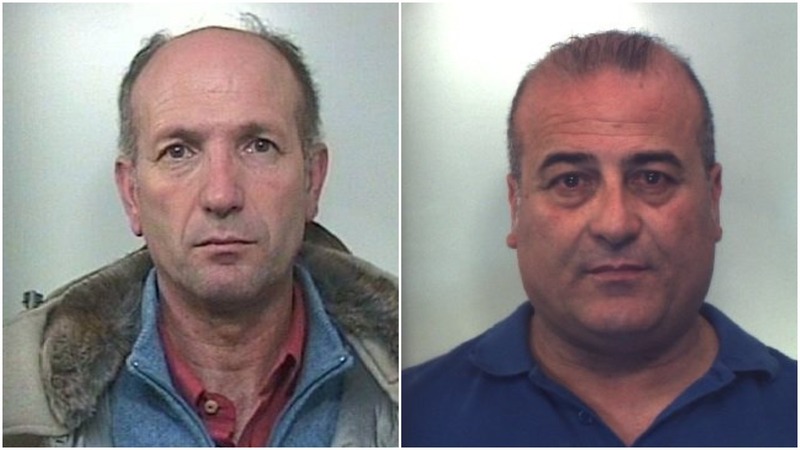 The individuals alleged to be involved live in 19 cities in Italy, as well as in Ehingen, Germany, Barcelona, Spain, and Stanmore (London) in the United Kingdom. 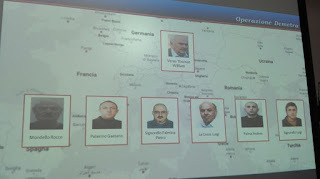 Some of the persons identified in this complex investigation include Ioan Bodea, Radu Horia Camil, Iulian Ceia, Călin Ciota, Călin Corhan, Ciprian Hidişan, Daniel Jurca, Ilic Ljubisa, Ilie Luncan, Viorica Luncan, Daniel Moc, David Magda, Ion Nedelcu, Miu Nedelcu, Adrian and Florin Nistor, Ovidiu Olah, Remus Pop, and Mihai Zerkula, each of whom were associated in some way with a criminal enterprise that has been identified as being involved in unauthorized excavations conducted in the Dacian citadels in the Orăştie Mountains, located in the counties of Hunedoara and Alba, in Romania. The court found, inter alia, that between May 2000 and May 2001, the criminal group working in Romania looted two ancient Dacian gold hoards which among other objects, contained 15 gold spirals weighing a total of approximately 15 kilograms. 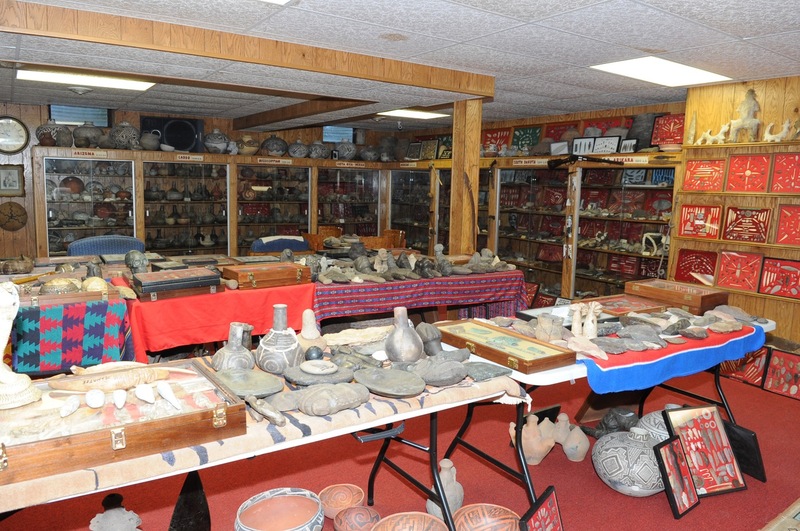 The objects looted in the hoards were then illegally exported and laundered through the hands of a network of middlemen traffickers and antiquities dealers who consigned the objects at major auction houses located in the EU and the US. Of the 24 gold spirals, stolen between 1998 and 2001, only 13 have been recovered. 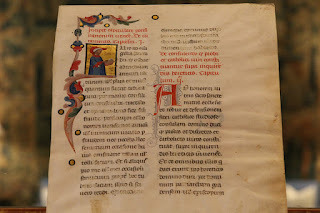 They are now on display at the Muzeul Național de Istorie a României. 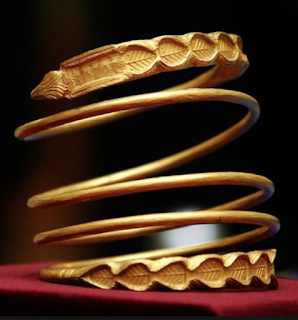 Six of the bracelets are believed to have passed through the hands of one antiquities collector, Ilic Ljubisa, believed to have been the organizer of a group of traffickers known as the "Serbian cartel" which operated out of Zurich. Ljubisa bought three pairs of the gold spirals and is believed to have been involved in their transport to Belgrade. To understand how Romania's golden artifacts made their way out of Romania via Serbia and onto the antiquities market, the documentary makers, Boston-based Kogainon Films, interviewed many people, including Hungarian born and London-based antiquities dealer William Veres. 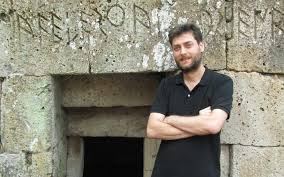 Veres is now the subject of his own multinational police investigation of antiquities trafficking originating in Italy. 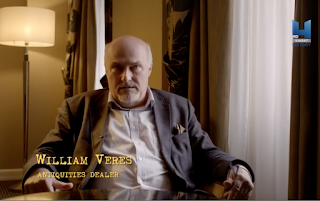 In the documentary, Veres is filmed making several interesting, if not quite incriminating, statements regarding the methodologies used by the antiquities handlers caught up in the Dacian gold looting case. Efficient like DHL. Words worth remembering. On the trail of looted antiquities, Carabinieri arrest another individual in Sicily. 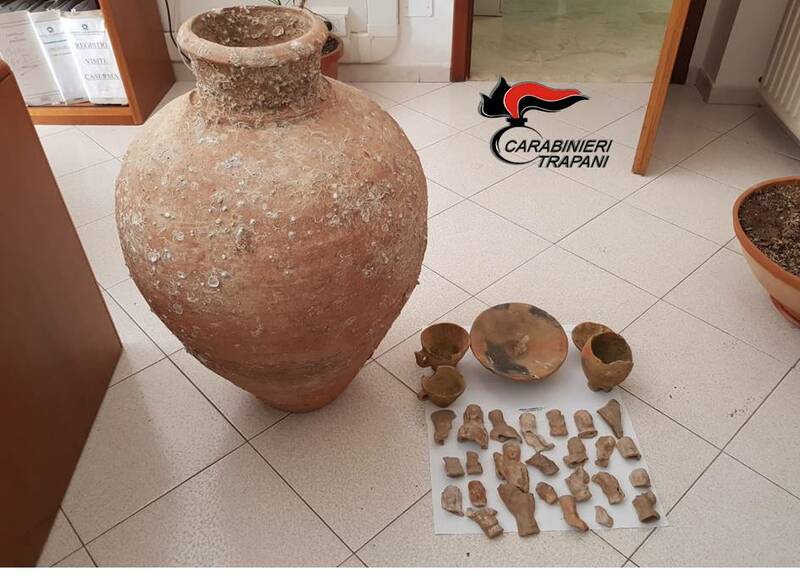 An ancient amphora and 25 terracotta fragments of ancient statues, some believed to date as far back as the III millennium BCE (the Early to Middle Bronze Age), these are the plundered archaeological finds seized during a 04 July 2018 raid on the home of Gianni Francesco Scimemi in his home in Salemi, a village located in the Belice Valley within the interior of Western Sicily. 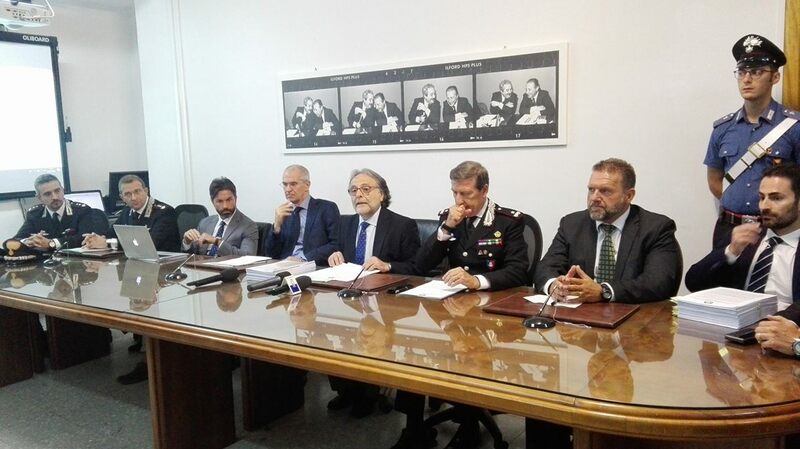 Led by the Carabinieri Comando Compagnia Mazara del Vallo under the authority of commander, Lieutenant Maurizio Giaramita, Italian authorities also found the man to be in the possession of a handgun in which the factory-marked serial number had been completely abraded. The area around Salemi is rich in archaeological material. Excavation and study of the historic remains in this region have provided crucial evidence regarding the ancient Elymian town of Halikyai. The Elymi occupied various hilltops of western Sicilduring the Archaic (c. 700 – 480 BCE), Early Classical (480 – 400 BCE), Late Classical (400 – 323 BCE), and Hellenistic (323 – 30 BCE) periods. The ancient Greek historian Herodotus once wrote that the indigenous Sicilians who inhabited this zone were fiercely culturally independent despite their interaction with the Greeks and Phoenicians. But the origins of these pieces are unknown as they have been excavated without any care for the archaeological context. For the moment Scimemi remains "free", confined to house arrest pending the completion of this investigation. 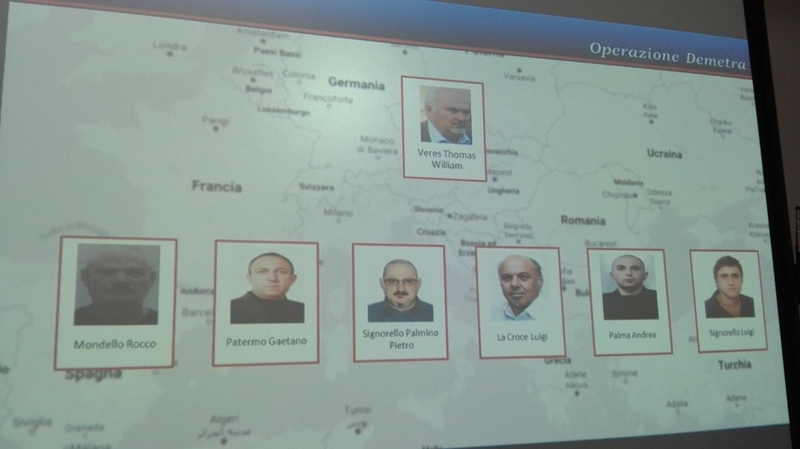 As has been noted to be the case in the past, Sicilian trafficking cases sometimes have organized crime origins and that appears to also be the case with this week's announced Operation Demetra, named after the Greek divinity much venerated in Sicily. As new individuals are identified with this investigation, it is interesting to see how some of them are connected to one another, to incidences of trafficking in the past and how they fit into the puzzle of this multinational investigation. Begun as an anti-mafia investigation, initiated by the Nissena Prosecutor for the territory of Riesi, Operation Demetra grew to international proportions when the Carabinieri began reinvestigating the activities of Gaetano Patermo (A.K.A "Tano"). In 2007 Patermo was named along with other individuals, including Angelo Chiantia and Simone Di Simone, in a 35-person investigation involving illegal excavations, theft, reproduction, falsification, exportation, sale and receipt, even in foreign territory, of archaeological assets belonging to the public domain. Although acquitted for these earlier alleged offences the details of the 2007 case were remarkably similar to the methodology used by traffickers involved in the 2014-2018 investigation that Patermo has now been arrested for. According to the Carabinieri Command for the Protection of Cultural Property responsible for the archaeological heritage of Palermo, led by Major Luigi Mancuso, the antiquities were being transferred from Sicily to northern Italy, hidden inside baggage along with travellers garments and inside the linings of suitcases. In the older case, clandestine material was transported out of Sicily through Spain and Switzerland by means of campers or trucks loaded with fruits and vegetables. 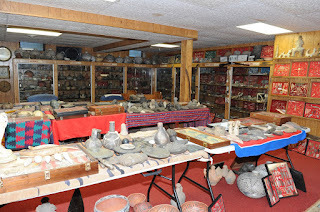 Once out of the country the antiquities and coins were also passed on to potential international buyers. As it relates to Operation Demetra, it is alleged that Patermo had contacts with the network of couriers that transported illlicit material and interacted with individuals connected to the London-based art dealer William Thomas Veres. 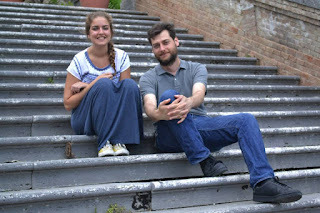 Not picked up in the original sweep earlier this week, but wanted by the Italian authorities in connection with this more recent investigation, Angelo Chiantia of Riesi and Simone Di Simone of Gela, in the presence of their lawyers, turned themselves in to law enforcement authorities yesterday afternoon. Both are believed to have played roles as middlemen in the smuggling of cultural heritage abroad. Francesco Lucerna is from Riesi, hometown of the notorious Mafia boss Giuseppe Di Cristina in the province of Caltanissetta, whose death was a prelude to the Second Mafia War. 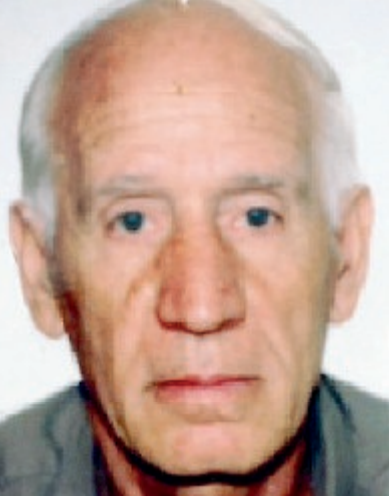 In addition to being an alleged "tomborolo" Lucerne was identified in February 2015 as the person who put together this organized network of tombaroli and counterfeiters, selling authentic and imitation archaeological remains to wealthy entrepreneurs and industrialists in Piedmont, where he had relocated, as well as on to buyers in Germany. 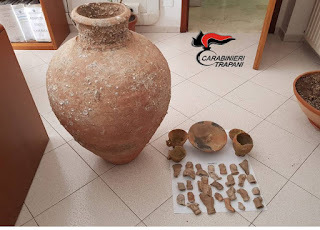 Following the 2015 search and seizures carried out in the province of Caltanissetta more than one thousand artifacts were seized including 859 clay vases and amphorae, 146 ancient coins dating back to the Greek and Roman age, 191 paleontological finds and two illegal metal detectors. 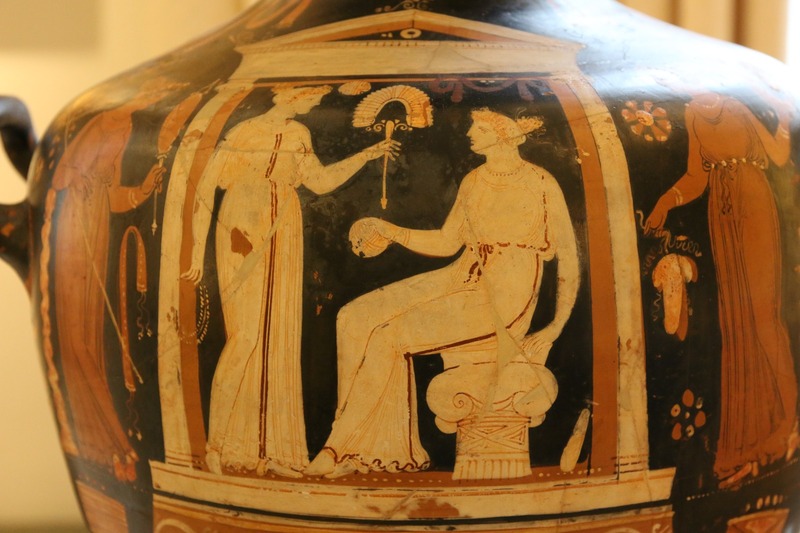 The antiquities were believed to have come from an undocumented fourth or fifth century BCE villa, most likely discovered somewhere in the archaeological area of ​​Philosopiana, between Butera and Riesi. Unfortunately without a find spot, and with nothing known about the context around where the antiquities were excavated, little can be concretely ascertained. 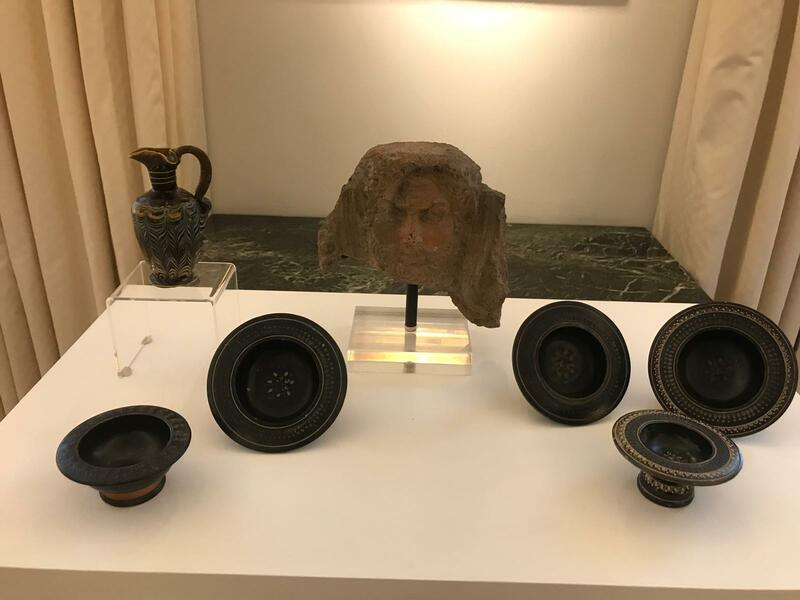 Police also raided two forgers in Misterbianco and Paternò, near Catania, whose workshops contained 878 counterfeit coins and 960 forged coin dies which were used to strike the authentic-looking fakes. These were being prepared to be sold to collectors, possibly being told they were authentic. Lists himself on Linkedin as a Numismatic Expert & Advisor at Martí Hervera, SL in Barcelona as well as at Soler y Llach Subastas Internacionales, S.A.
Interestingly, he also appears to have been affiliated in some way with an excavation at the Villa Romana del Casale di Piazza Armerina (EN), in Sicily and to have earned a degree from the Università degli Studi di Roma "La Sapienza" where he studied at numismatics, epigraphy and archaeology. 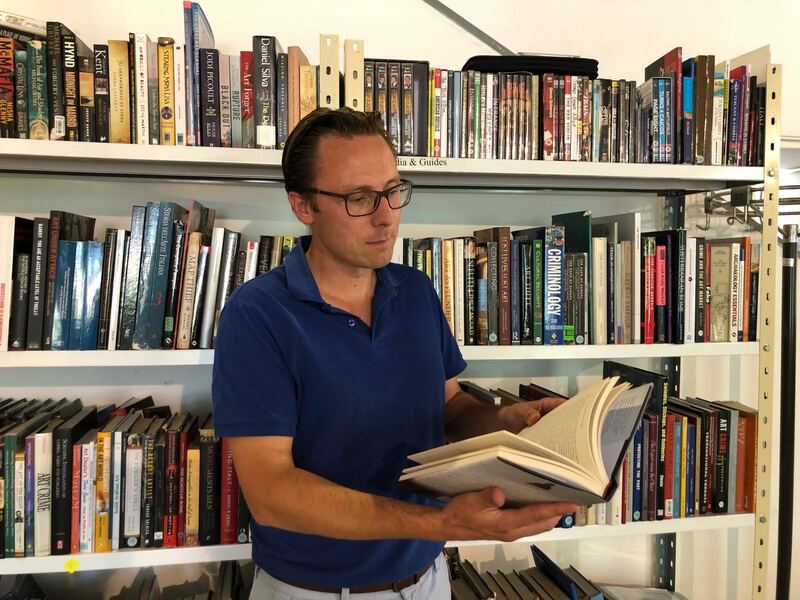 The Hungarian-born antiquities dealer William Veres has always walked a fine line in who and how he has worked with individuals known to have had connections to illicit trafficking. In addition to the questionable incidences already mentioned in our earlier blog posts, in which he received a suspended sentence, and the billionaire purchaser was acquitted, Veres was once accused by former self-confessed smuggler and police informant Michel Van Rijn of running a London-based business that deals in smuggled relics. One of those relics was a Coptic Ps.Gospel of Judas (Iscariot), part of an ancient codice written in Coptic and Greek which surfaced on the international art market once connected to many well known names and faces. Veres was arrested at his home at his home in Stanmore, northwest London this week. Lest we forget, art criminals don't just deal with tomb raiders, gallery show rooms and collectors of ancient art. Sometimes they also rub elbows with the worst of the underworld. And if you think that the Procura di Caltanissetta only deals with heritage crimes you would be wrong. 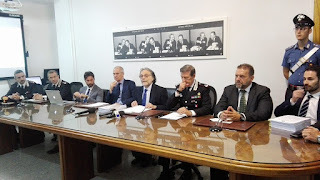 Personnel of the provincial command of the Carabinieri of Caltanissetta, at the request of the DDA (Direzione Distrettuale Antimafia) and of the local prosecutor are also following investigations in the region against the 'family' of Riesi, the "stidda" of the Cosa Nostra. This group is believed to be responsible for not only the trafficking of drugs, and extortion, but also appear to have been the executors of numerous murders and attempted murders which took place in the early 1990s. While much has been discussed with regards to terrorism financed via the sale of plundered antiquities, substantiating claims with clear and defined ‘evidence’ is not straightforward. From the outside these networks are labyrinthine, multi-tiered and opaque. From the inside militants and non-militant criminals are known to conduct illicit transactions with cash and cash alternatives which are, by their very nature, structured to fly below the radar of law enforcement authorities. This makes assessing their impact difficult to estimate and the detection and prosecution of criminals complicated. Even when uncovered, traffickers involved in the laundering of illicit antiquities usually haven't kept substantive incriminating paper trails that investigators can peruse. This makes it difficult to determine what their profit margins are on the antiquities they launder. Nor are people facing charges of laundering antiquities through the art market likely to be forthcoming with incriminating evidence that identifies who else has benefited from the layered transactions that occur from the time the object is looted from an archaeological rich region until the antiquity reached the identified via a collector, dealer, gallery, or auction house. All this to say that those involved in the illicit market don't advertise their relationships with known criminals and the same holds even more true when the profiteering parties have direct or indirect business dealings with transnational criminal networks or militant organizations. Additionally the economic behavior of terrorist groups and transnational criminal networks during conflicts share many of the same characteristics, methods and tactics. Both operate in secrecy and little is known about how groups such as these coexist and, or, interact within the same geographic space. But like any legal supply chain does, an illegal supply chain matches supply with demand. So while much of our evidence of where the proceeds of transnational artefact crime finish is condemned by the market as being overly anecdotal, what we see clearly is from what regions illicit contraband flows. 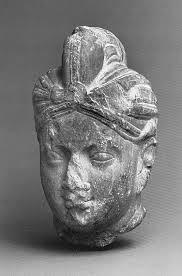 From there we can extrapolate that illicit antiquities originating in countries of conflict, from zones where terrorists or militants have a controlling stake territorially, are by extension, a viable revenue stream for terrorism. Where the two chains, the legal and the illegal, meet. 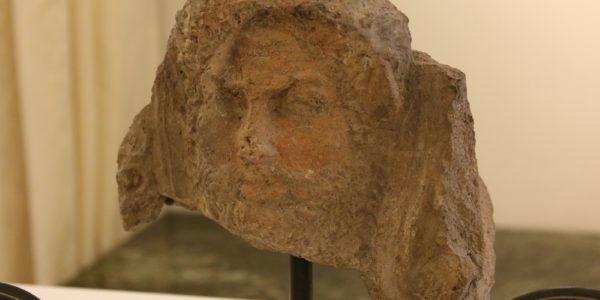 This month after almost three years of investigations, involving some fifty law enforcement officers, Spanish authorities have brought formal charges against two individuals for their alleged participation in a crime of financing terrorism, belonging to a criminal organization, concealment of contraband and use of forgery for their roles in facilitating the sale of illicit antiquities. 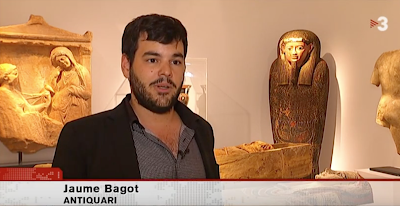 On orders from the Audiencia Nacional, a special high court in Spain with jurisdiction throughout the Spanish territory, as well as over international crimes which come under the competence of Spanish courts, Barcelona antiquities dealer Jaume Bagot and his partner Oriol Carreras Palomar are being investigated for their purported roles in illiit trafficking. 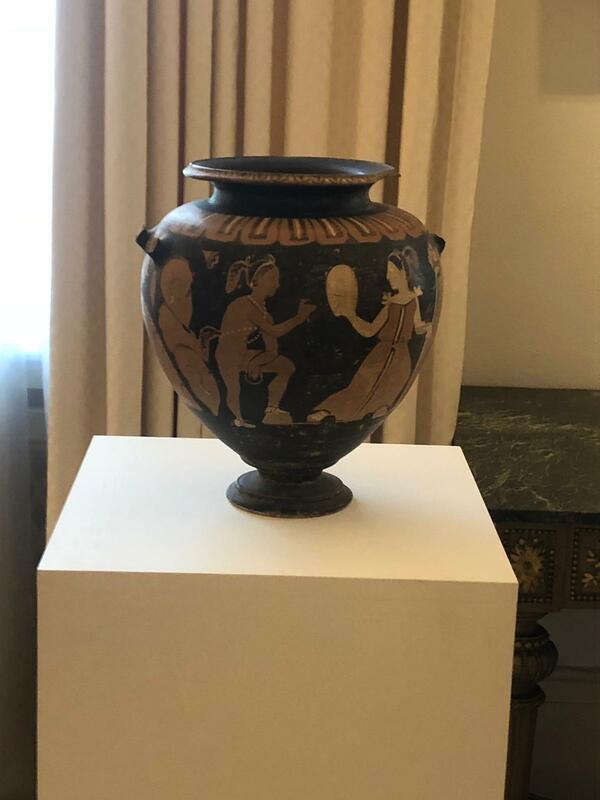 Both have been taken into custody for their alleged role(s) in the sale of Greek and Roman antiquities plundered from Libya and Egypt, which prosecutors believe were then being sold through the licit European art market purporting to be antiquities from historic collections. Answering to the charges, the pair appeared before Judicial Magistrate Diego de Egea of the Central Court of Instruction Number 6 of the National Court on Monday, March 26, 2018 where they were formally informed of the allegations against them. 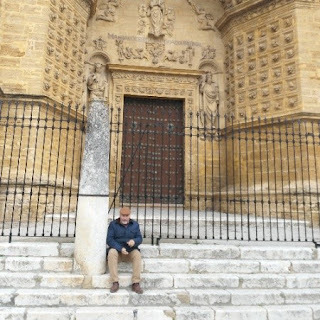 During the hearing the magistrate granted their release pending trial, imposing a financial surety (bond) and a series of pretrial release conditions which included the forfeiture of their passports, a mandate to remain within the territory of Spain, and biweekly court appearances as conditions of their release while awaiting trial. 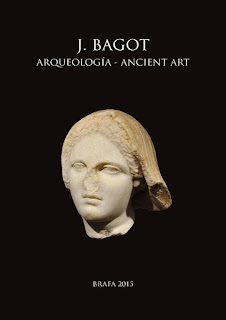 Jaume Bagot established his gallery, J. Bagot Arqueología Ancient Art Gallery in 2005 in the heart of Barcelona. According to his profile on the BRAFA art fair website, where he is a vetted dealer of ancient art, Bagot's firm specializes in the sale of art from the Etruscan, Greek, Roman and Egyptian civilizations, from Mesopotamia, the Middle East, Gandhara and from various Pre-Columbian cultures. 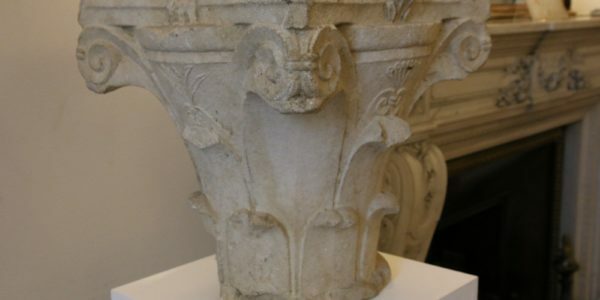 No mention of Libyan cultural objects are mentioned in his BRAFA profile, and yet, police authorities in Spain have seized sculpture which originated from three cities of Libya: Albaida, Apolonia and Cyrene, some of which are believed to have been looted while the territory was under the control of Islamist militant groups. Bagot's gallery is listed as a member of the influential dealer association C.I.N.O.A. (Confédération Internationale des Négociants en Oeuvres d'Art), as well as the F.E.A. (Federación Española de Anticuarios) where they list him as Jaume Bagot Peix, and where he is also identified as the vice-président of the Professional Group of Antiquarians of the (Barcelona) Royal Shipyard (Asociación de Anticuarios de las Reales Atarazanas). 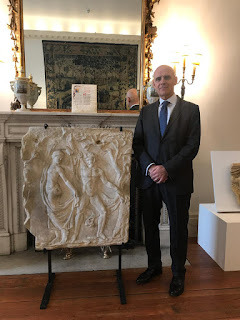 "Our main objective is to offer original ancient works of art guaranteeing their authenticity and maximum quality while at the same time strictly complying with the laws of protection of national, foreign and UNESCO heritage." 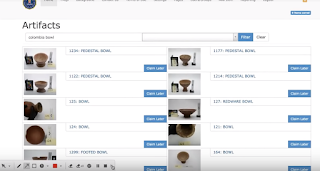 "We also carry out exhaustive research into the provenance and previous ownership of the pieces. 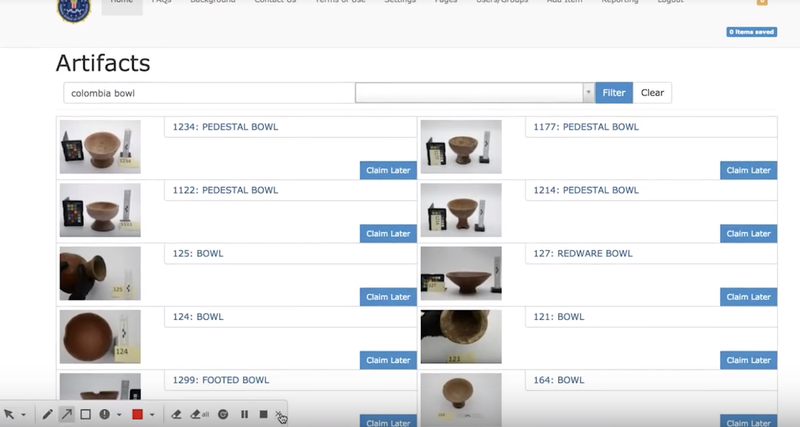 To this end we make use of the data base [sic] of stolen objects, Art Loss Register, as well as making use of publications, sworn statements, dated photographs, bills, customs documents and insurance policies." All of which stands in stark contradiction to the apparent charges he now faces with the Spanish authorities of facilitating the sale of illicit antiquities from regions of conflict where terrorist actors might have been involved. The making of a case = Good (unfortunately usally unpaid) research. As is all too often the case, some of the best evidence collected highlighting trends in the field of illicit trafficking, is research conducted by unpaid academics, as there has been little funding up until now, made available at the national or multinational level in market countries to financially support the type of in-depth specialized research required by provenance experts studying the flow of illicit objects onto the licit market. This holds true as well for this particular Spanish investigation, which got its start thanks to an academic researcher. During his PhD research on les sculptures funéraires de Cyrénaïque (the funerary sculptures of Cyrenaica), French historian, turned conflict antiquities researcher, Morgan Belzic, of the École Pratique des Hautes Études had been working with the French Archaeological Mission and Libya heritage authorities documenting antiquity in the northeastern part of modern Libya focusing on the cities of Shahat (Cyrene), Susa (Apollonia), Tulmaytha (Ptolemais), Tocra (Taucheira), and Benghazi (Euesperides/Berenike). Looking at evidence useful for understanding the culture and history of ancient Cyrenaica, which thrived between the 6th century BCE and the 4th century CE, Belzic uncovered a worrisome correlation between the looting and destruction that has occurred over the past twenty years at the Greek necropoleis of Libya and an uptick in the number of ancient objects, identifiable solely to that specific region, appearing on the international art market. 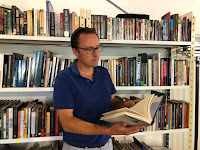 In conjunction with this increased availability of ancient material surfacing on the art market, he also noted that tomb destruction in the region had risen exponentially, in part as a result of the longstanding instability in the region, but notably over the last ten years in conjunction with items appearing in the market. Speaking with Morgan about his research last summer, during an informal ARCA meeting of academic antiquities researchers, he told me that while the material remains, the alabaster, glass, and terracotta, found in the tombs of Cyrenaica could likewise be found in other Hellenistic regions, making it difficult to pinpoint the country of origin for looted antiquities of these types, the deities and funerary portraits of Cyrenaica are an exception. Belzic explained that these sculptures are quite specific in their iconography and style, making it possible for experts, familiar with the sculpture of Cyrenaica, to objectively identify pieces from the region. Then when these types of sculpture come on the market, with limited documentation that does not match with existing established collections, one can begin to question their legitimacy and whether or not they may have come from ransacked tombs before making their way into some of Europe's prestigious galleries. 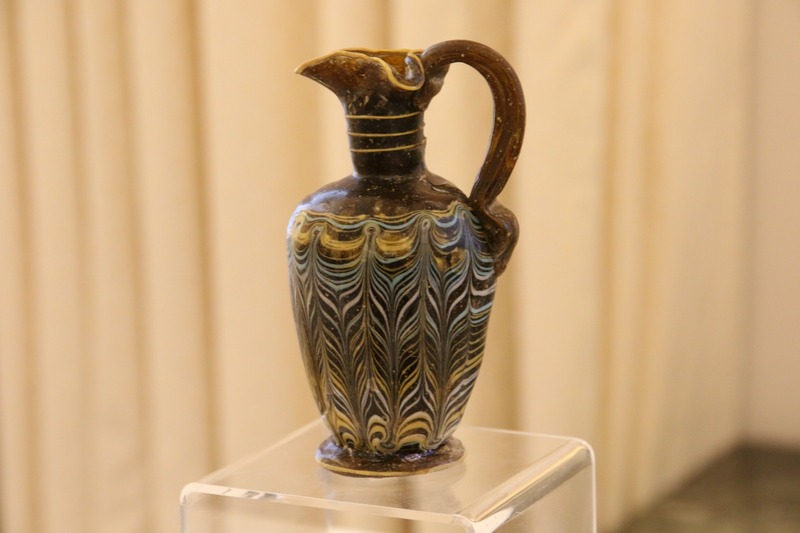 With two rival governments, and countless local militias in Libya, Belzic understood that the probability of staunching the flow of illicit objects following out of Libya could only be tackled by disrupting the demand side of the supply chain. 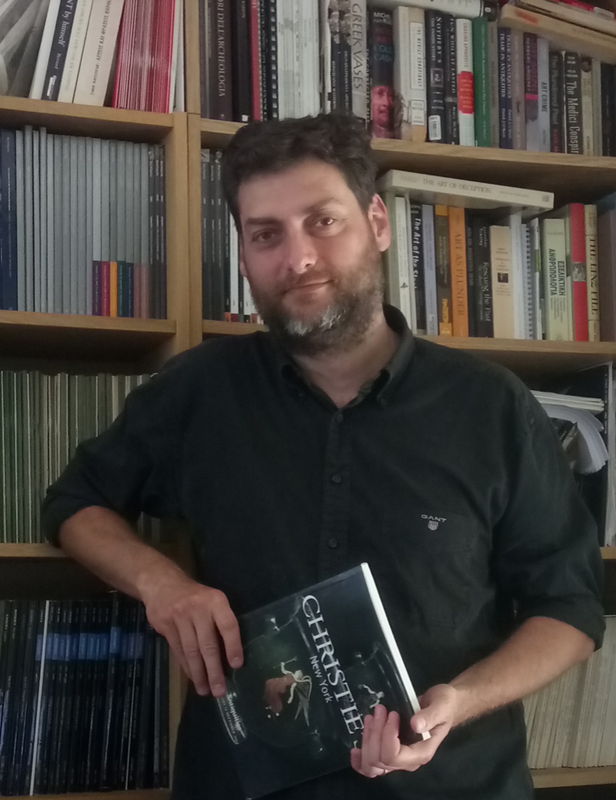 With that in mind, he turned his research over to law enforcement authorities in Spain who began their lengthy investigation building upon the foundation of his academic research. In an interview with Crónica Global Media “JBP,” as the Catalan antiquarian prefers to be called, denies any direct involvement with purchasing antiquities from parties in Iraq, Libya or Syria. He goes on to add that all the items in his inventory have been purchased in good faith, without knowing that the objects in question had been stolen or looted. His statements imply that any illegal antiquities that made their way into his gallery's inventory did so by honest, unknowing mistake, rather than willful ignorance or a lack of due diligence. Bagot’s statements are telling as they touch upon the legal framework, technicalities and procedural obstacles that the dealer may try to use in his defence and when fighting any cross-border restitution claim presented by Libya and Egypt in relation to the seizure of his merchandise. 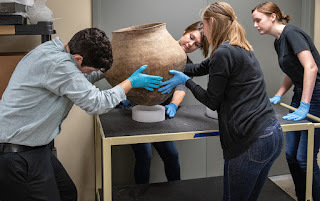 It is this culture of willful impunity, the eye's closed "I didn't know" approach which has, for so long, contributed to the challenges of preventing the illegal trafficking of cultural objects through the means of prosecution. Unless we establish mandated due diligence accountability for dealers, those who deal in the grey area of the market will continue to rely on the legal conceptualizations of property and ownership in countries favourable to their mercurial transactions. I wonder what the confederation's stance will be now that one of their members has come under prosecutorial scrutiny.